After covering the E3 2012 conference this week, I see that, ultimately, E3 doesn’t really represent today’s broad swath of gaming. Traditional, turn-based war games are completely absent from the mix in Los Angeles, so breakthrough titles similar to last year’s Unity of Command are missing in action. Nowhere to be seen are companies like Playdek and Days of Wonder, which are selling boatloads of electronic versions of board games on tablets. If it doesn’t run on a console made by the Nintendo-Sony-Microsoft trinity, it’s hard to find at E3. PC games get some love, mostly on the massively multiplayer side, but for the most part, E3 is still a console show. The disparity is shown in E3's South Hall. One of the big landmarks at one end is a giant inflatable cow. The cow is there to bring people to look at Harvest Moon: A New Beginning [PDF], the latest iteration of the iconic farming simulator that launched a legion of imitators, including Zynga’s FarmVille. At the other end is a huge sculpture of four heavily armed characters from Gearbox’s upcoming Borderlands 2, a violent first-person shooter set on another planet with post-apocalyptic trappings. Those E3 bookends illustrate the diversity of the authors and audiences for games in the 21st century. Epic Games showed the latest iteration of its Unreal Engine behind closed doors--the game engine that is behind hugely successful AAA titles like Gears of War 2 and Mass Effect 3. 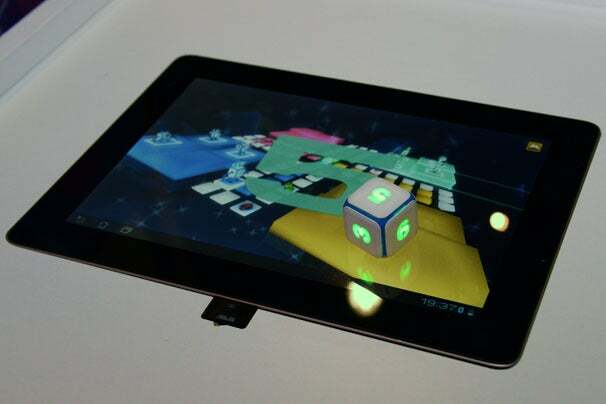 In a small booth several hundred yards away, dice.pl (not to be confused with EA studio DICE, who makes Battlefield 3) showed an electronic die that allows you to roll physical dice to generate results in a tablet or PC game title. Gaming has seeped into the culture as a whole, but as it becomes more tightly woven into the fabric of everyday life, it also becomes highly fragmented. The audience for Call of Duty: Black Ops 2 is mostly different from people who play the Harvest Moon games. Even if you just count first-person shooter games, E3 would lead you to believe that only big budget military shooters existed. As PCWorld's Alex Wawro noted in his analysis on Virtual Violence Fatigue at E3, most of the media, at least, seemed to be tired of these games, most of which are hard to distinguish from each other. Yet Valve is readying CounterStrike: Global Ops, a multiplayer shooter that will retail for just $15--and that wasn’t shown at E3. And for all the big budget RPGs that get press, like Elder Scrolls Online, games like Shadowrun from Harebrained Schemes may end up being far better titles. So if you’re considering the game you’d like to play next, take a little time to dig around. Don’t just go for the big games that make a big splashes at E3. There are great games out there, waiting to be discovered.